We uploaded a detailed protocol on Nature Protocol Exchange to accompany our recent publication in Nature Communictions (Michelena et al. Nat Commun. 2018 Jul 11;9(1):2678). You can read the step-by-step protocol, which also includes a troubleshooting section, here. Replication stress is a hallmark of many cancers. 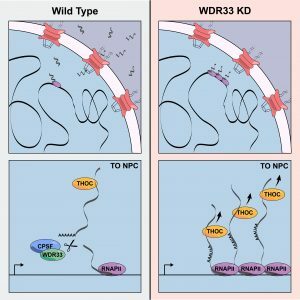 In an article published in the current issue of Molecular Cell (Volume 73, Issue 4, p641-858) we identify the pre-mRNA cleavage factor WDR33 as regulator of replication stress resilience and demonstrate that, when WDR33 function is impaired, unreleased nascent transcripts and genomic loci re-localize toward the nuclear periphery, where they cause replication stress and DNA damage. Cellular mechanisms that safeguard genome integrity are often subverted in cancer. To identify cancer-related genome caretakers, we employed a convergent multi-screening strategy coupled to quantitative image-based cytometry and ranked candidate genes according to multivariate readouts reflecting viability, proliferative capacity, replisome integrity, and DNA damage signaling. This unveiled regulators of replication stress resilience, including components of the pre-mRNA cleavage and polyadenylation complex. We show that deregulation of pre-mRNA cleavage impairs replication fork speed and leads to excessive origin activity, rendering cells highly dependent on ATR function. While excessive formation of RNA:DNA hybrids under these conditions was tightly associated with replication-stress-induced DNA damage, inhibition of transcription rescued fork speed, origin activation, and alleviated replication catastrophe. Uncoupling of pre-mRNA cleavage from co-transcriptional processing and export also protected cells from replication-stress-associated DNA damage, suggesting that pre-mRNA cleavage provides a mechanism to efficiently release nascent transcripts and thereby prevent gene gating-associated genomic instability. After having completed his Ph.D. in the lab of Miguel Ferreira at the IGC in Portugal, Edison joint us as postdoctoral fellow. Welcome on board! Another successful PhD defense! Congratulation to Stefania, who started as the second PhD student of our lab, and who is now the second to have handed in the thesis and passed the final exam. Very well done!! What a week, within just a few days our lab member Federico Teloni got his work accepted for publication in Molecular Cell and also successfully defended his PhD thesis. Huge congratulations to him and to the whole lab for these fantastic achievements! After having completed his M.Sc. in Biology at the University of Konstanz, Germany, Vincent started his Ph.D. within the Life Science Zurich Graduate School in our lab. Welcome on board! Is making music a form of thinking? How many people does it take to think? Why are computers unable to come up with jokes? How does thinking work and what happens when it stops working? Can the universe be represented by a picture, and what is science’s relationship to that picture? Is art more than an imaging process? These are some of the questions posed by 100 Ways of Thinking, taking place from August 25 to November 4, 2018, during which time Kunsthalle Zurich is hosting the University of Zurich. At the Department of Molecular Mechanisms of Disease (DMMD) cellular and molecular biologists work together to develop various ways of illuminating and understanding the structures and processes that exist inside cells. We work hard to better understand the cell, the smallest subunit of our bodies. If something goes wrong in our cells, the whole body suffers. Numerous diseases are the result of the molecular processes inside our cells somehow being disturbed. Malfunctions that occur at the level of our DNA, our genes, and their regulation can have particularly serious consequences. For example, the cellular metabolism can be disturbed to such an extent so that it develops into diabetes. Mutations in the genetic material can make it easier for cancer to develop. A deregulated response on the part of the immune cells can lead to chronic inflammation. And if gene regulation isn’t working properly, some cells may not even remember what their job is inside the body. Because cells are so small (one cell is about 100 times smaller than a pinhead), biologists need microscopes in order to look at them. Or they use other, sometimes quite complicated, imaging procedures to look inside the cells and watch the molecular mechanisms at work. These procedures are carried out in a research laboratory, they often take several days, and they’re based on a very precise sequence involving numerous steps. If the experiment works, we know a little more about the cell. Based on the new findings, we can then make plans for subsequent experiments. We’ve yet to run out of new questions. Join us at the Science Festival 100 Ways of Thinking at Kunsthalle Zurich from August 25 to November 4, 2018. Entrance is free, so come and explore! Lots of fun games, a proud winning team and a relaxed BBQ made the DMMD 2018 Summer Games a great event. Big thanks to the organizers and everyone for joining! And for the rafting, glad that everyone enjoyed – and survived! Our newest paper on PARP inhibitor toxicity has been published in Nature Communications! 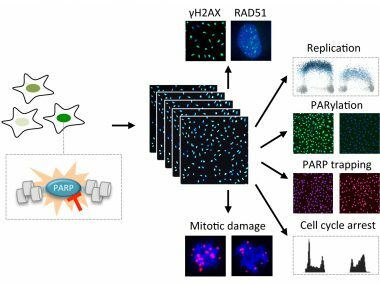 Have a look how high-content imaging reveals the earliest cellular responses to PARP inhibition and unravels the sequence of events from PARP trapping to DNA damage, cell cycle arrest and cell death. Here you can access the complete article and browse through the Editors’ Highlights, or read the UZH/EurekAlert public releases. Exploiting the full potential of anti-cancer drugs necessitates a detailed understanding of their cytotoxic effects. While standard omics approaches are limited to cell population averages, emerging single cell techniques currently lack throughput and are not applicable for compound screens. Here, we employed a versatile and sensitive high-content microscopy-based approach to overcome these limitations and quantify multiple parameters of cytotoxicity at the single cell level and in a cell cycle resolved manner. Applied to PARP inhibitors (PARPi) this approach revealed an S-phase-specific DNA damage response after only 15 min, quantitatively differentiated responses to several clinically important PARPi, allowed for cell cycle resolved analyses of PARP trapping, and predicted conditions of PARPi hypersensitivity and resistance. The approach illuminates cellular mechanisms of drug synergism and, through a targeted multivariate screen, could identify a functional interaction between PARPi olaparib and NEDD8/SCF inhibition, which we show is dependent on PARP1 and linked to PARP1 trapping. Our lab members Stefania and Jone both received distinctions for their work: Stefania won a poster price at the fantastic EMBO Workshop on Chromatin dynamics & nuclear organization in genome maintenance, and Jone received new project funding from the UZH. Very well done! Our research and experimental approach was recently featured in a High Content Imaging (HCI) Special in BIOspektrum, the magazine of the German bioscience societies GBM, VAAM, GfG and DGPT. Have a look at the current issue, HCI is not only about large-scale screens. Here is the article and here the link to the complete issue. Download an English version here. Read our short editorial “The memory remains” in Aging on the effects of genotoxic stress inheritance from one cell generation to the next. Access the article via PubMed or the journal homepage. Research of the group brought to life by Roland Fischer and photographer Marc Latzel for UZH Magazin 01/2018 (UZH News). Download the full article or the complete magazine (in German). Read the English translation here. Our work was also included in the UZH Annual Report 2017. Download the complete Annual Report or have a look at the online summary. Our traditional winter sledging day took place again high above Elm, eastern Switzerland. Racy descents on a sunny day and a great opportunity to strengthen interactions between the different groups of our department. We started into 2018 with our third DMMD Colloquium, a day full of scientific talks and poster sessions to foster discussions and provide an overview of our research activities to newcomers. Special feature this time: an entertaining lecture by communication trainer Dani Nieth. Read the News & Views article on our recently published work on the effects of DNA damage propagation from one cell generation to the next. It nicely puts our work into context with recent findings from the labs of Tobias Meyer, Sabrina Spencer, and Chris Bakal. Access the News & Views via PubMed or the Cell Cycle homepage. Aleksandra’s work shows how inherited DNA lesions, which originate from replication problems during the previous S-phase, determine G1 duration in daughter cells. 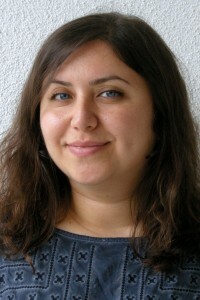 Her findings provide a deterministic explanation for cellular heterogeneity in cell cycle commitment and further suggest that mild replication stress during cancer development, induced for instance by oncogene activation, cooperates with loss of tumor suppressor protein p53 to force cells into a “vicious cycle” of damage propagation and accumulation of mutations. Inherited DNA lesions determine G1 duration in the next cell cycle. Replication stress is a major source of DNA damage and an important driver of cancer development. 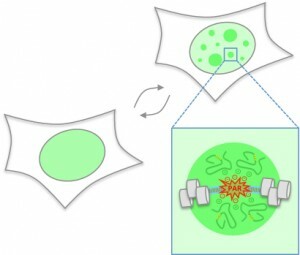 Replication intermediates that occur upon mild forms of replication stress frequently escape cell cycle checkpoints and can be transmitted through mitosis into the next cell cycle. The consequences of such inherited DNA lesions for cell fate and survival are poorly understood. By using time-lapse microscopy and quantitative image-based cytometry to simultaneously monitor inherited DNA lesions marked by the genome caretaker protein 53BP1 and cell cycle progression, we show that inheritance of 53BP1-marked lesions from the previous S-phase is associated with a prolonged G1 duration in the next cell cycle. These results suggest that cell-to-cell variation in S-phase commitment is determined, at least partially, by the amount of replication-born inherited DNA damage in individual cells. We further show that loss of the tumor suppressor protein p53 overrides replication stress-induced G1 prolongation and allows S-phase entry with excessive amounts of inherited DNA lesions. Thus, replication stress and p53 loss may synergize during cancer development by promoting cell cycle re-entry with unrepaired mutagenic DNA lesions originating from the previous cell cycle. Cell Cycle. 2017 Oct 5:0. doi: 10.1080/15384101.2017.1383578. 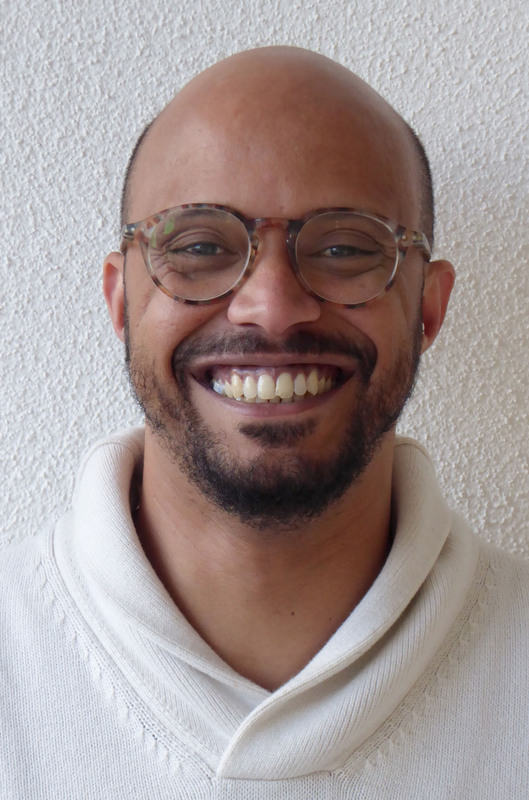 After having worked in Heidelberg, Tübingen, Vienna, Basel, and Berkeley in sunny California Michael recently turned to Zurich to join us as postdoctoral fellow. 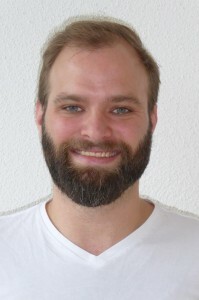 Supported by the Gebert Rüf Foundation he will study the role of chromatin dynamics for DSB repair. Welcome on board! 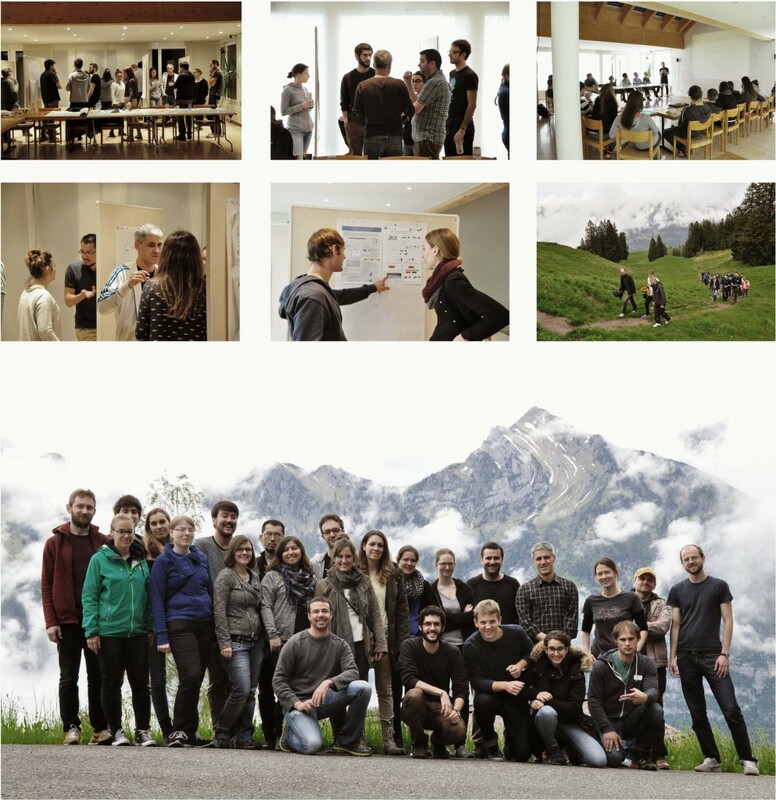 As they say, never change a winning team: 4 research groups from 3 universities of 2 countries came together for their second joint lab retreat 1378 meters above sea level at Flumserberg Tannenbodenalp, Switzerland. Superb talks, stimulating project discussions, great cooking, a short hike up to a peaceful mountain lake, and an exhilarating toboggan ride back down made this a fantastic group event. Congratulations to Federico, who won a prize for his poster at the 4th German-French DNA Repair Meeting in Cologne, Germany. Federico presented his project on a convergent multidimensional screen to identify cancer-relevant genes with roles in replication stress resilience. Well done! 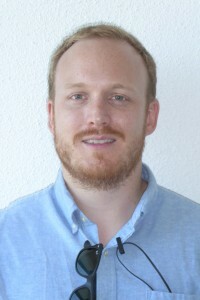 Coming from the Friedrich Miescher Institute in Basel, where he obtained his PhD, Andrew Seeber joins the lab as postdoctoral fellow. Supported by the SNF/KTI BRIDGE Program, Andrew will study the role of chromatin dynamics for DSB repair. Welcome on board! Our lab contributed a chapter to the Second Edition of “Poly(ADP-Ribose) Polymerase: Methods and Protocols”, edited by Alexei V. Tulin. Check out how automated microscopy can be used for cell cycle resolved measurements of poly(ADP-ribose) formation. 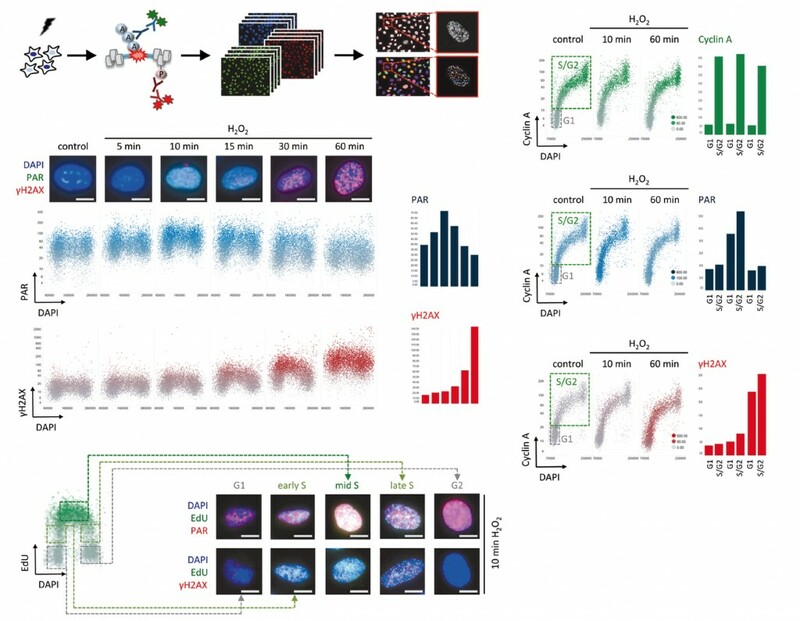 Cell Cycle Resolved Measurements of Poly(ADP-Ribose) Formation and DNA Damage Signaling by Quantitative Image-Based Cytometry. Formation of poly(ADP-ribose) (PAR) marks intracellular stress signaling and is notably induced upon DNA damage. PAR polymerases (PARPs) catalyze PAR synthesis upon genotoxic stress and thereby recruit multiple proteins to damaged chromatin. PAR induction is transient and antagonized by the action of PAR glycohydrolase (PARG). Given that poly(ADP-ribosyl)ation (PARylation) is involved in genome integrity maintenance and other vital cellular functions, but also in light of the recent approval of PARP inhibitors for cancer treatments, reliable measurements of intracellular PAR formation have gained importance. Here we provide a detailed protocol for PAR measurements by quantitative image-based cytometry. This technique combines the high spatial resolution of single-cell microscopy with the advantages of cell population measurements through automated high-content imaging. Such upscaling of immunofluorescence-based PAR detection not only increases the robustness of the measurements through averaging across large cell populations but also allows for the discrimination of subpopulations and thus enables multivariate measurements of PAR levels and DNA damage signaling. We illustrate how this technique can be used to assess the dynamics of the cellular response to oxidative damage as well as to PARP inhibitor-induced genotoxicity in a cell cycle resolved manner. Due to the possibility to use any automated microscope for quantitative image-based cytometry, the presented method has widespread applicability in the area of PARP biology and beyond. How do cells keep a stable genome? What is the cellular toolkit to repair damaged DNA? How do cells choose which tool to use? And how can quantitative cell biology help tackle these questions? Fresh minds were ready for some brainwork during an inspiring one-day lab retreat. Watch our lab member Jone Michelena explain two complementary cell synchronization protocols, which she used during her PhD studies in Ana Zubiaga’s lab in Bilbao, Spain, to study cell cycle regulated gene expression. Her video is now online in JoVE. In their work Stefania, Jone, Federico and Ralph show how replication-dependent differences in chromatin inform the DNA damage response machinery about the replication status of broken genomic loci. This chromatin-embedded information affects 53BP1 binding and directs the choice of repair pathway used to fix DNA double-strand breaks. The bivalent histone modification reader 53BP1 accumulates around DNA double-strand breaks (DSBs), where it dictates repair pathway choice decisions by limiting DNA end resection. How this function is regulated locally and across the cell cycle to channel repair reactions toward non-homologous end joining (NHEJ) in G1 and promote homology-directed repair (HDR) in S/G2 is insufficiently understood. Here, we show that the ability of 53BP1 to accumulate around DSBs declines as cells progress through S phase and reveal that the inverse relationship between 53BP1 recruitment and replicated chromatin is linked to the replication-coupled dilution of 53BP1’s target mark H4K20me2. Consistently, premature maturation of post-replicative chromatin restores H4K20me2 and rescues 53BP1 accumulation on replicated chromatin. 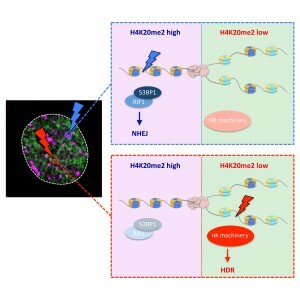 The H4K20me2-mediated chromatin association of 53BP1 thus represents an inbuilt mechanism to distinguish DSBs in pre- versus post-replicative chromatin, allowing for localized repair pathway choice decisions based on the availability of replication-generated template strands for HDR. 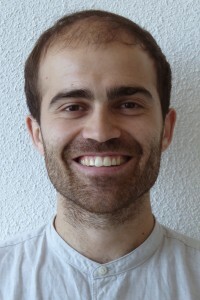 After his Ph.D. on chromatin conformational dynamics in the lab of Beat Fierz at EPFL, Sinan joined our group for his postdoc. 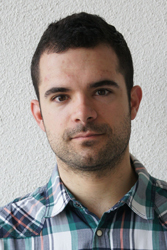 Also Marco started as postdoc with us after having worked with Lorenza Penengo on chromatin ubiquitylation in response to DNA damage. Welcome on board. After finishing his studies in Veterinary Medicine at the Vetsuisse Faculty, Thomas joins our lab again for the experimental part of his dissertation (Dr. med. vet.). Building on his work from the Master’s Thesis, Thomas will study PARP inhibitor toxicity in human cancer cells. Welcome back and good luck! We started into the year with a Joint Department Colloquium, a day full of inspiring talks, scientific discussions, great poster sessions, snacks & drinks, and games of tabletop soccer. 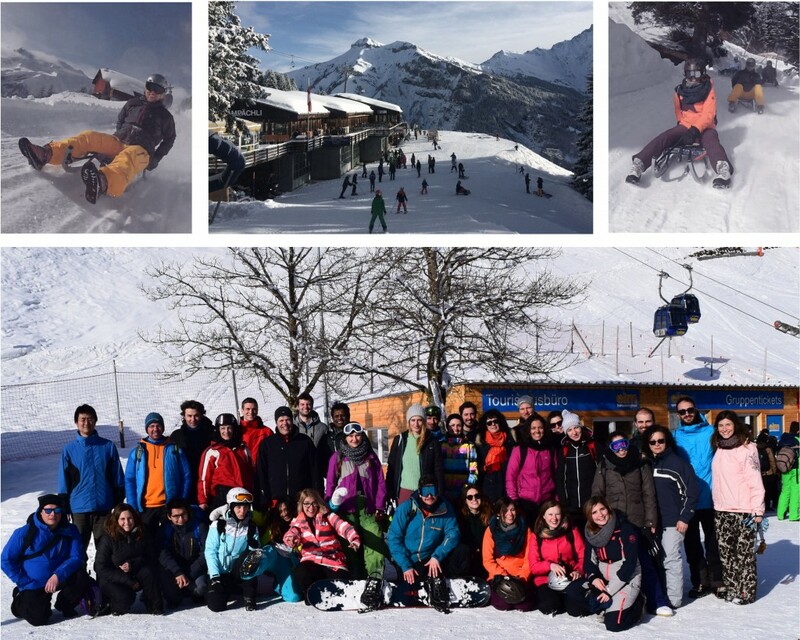 The brainwork was balanced by a day out in the snow sledding down the mountain slopes in Eastern Switzerland. 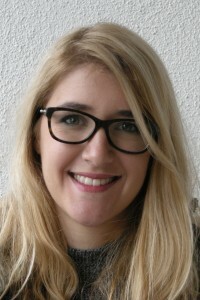 Coming from the Department of Biosciences at the University of Milan, Italy, Eliana Bianco was accepted to the Cancer Biology Program of the Life Science Zurich Graduate School and will carry out her PhD project in our lab. Welcome on board and good luck, Eliana! Our lab member Jone Michelena was awarded a prestigious outgoing postdoctoral fellowship from her home country Spain (through the Gobierno Vasco Programa Posdoctoral de Perfeccionamiento de Personal Investigador Doctor) to support her research in our group. Well done, Jone! Coming from Prof. David Shore’s lab at the University of Geneva, Switzerland, Aleksandra Lezaja was accepted to the Cancer Biology Program of the Life Science Zurich Graduate School and will carry out her PhD project in our lab. Welcome on board and good luck, Aleksandra! As part of the Horizon 2020 Research Program of the European Union an ERC Starting Grant was awarded to the lab. Open positions for ERC funded projects in our research program will be announced soon. We are extremely grateful for this encouraging support by the European Union. Our lab joined the 2016 DMMD Summer Games. Lots of fun games, a proud winning team, an improvised soccer match against young physicist Olympians from Egypt, and a relaxed BBQ made this a great event. Big thanks to the organizers and everyone for joining! 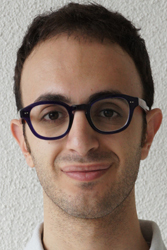 We are proud to announce that our lab member Federico Teloni was awarded the prestigious Candoc PhD Fellowship from the University of Zurich for his project “Defining cancer-specific alterations in genome integrity maintenance”. Well done and all the best for the project! 4 research groups from 3 universities of 2 countries come together for a joint lab retreat 1378 meters above sea level at Flumserberg Tannenbodenalp, Switzerland. Superb talks, stimulating project discussions, great cooking, a BBQ in the rain, and a short hike up to a peaceful mountain lake made this a fantastic event. After obtaining her PhD from Ege University in Izmir Pakize became Assistant Professor at Cumhuriyet University in Sivas, Turkey. Supported by the Scientific and Technological Research Council of Turkey she now joined our lab as guest scientist. Welcome and good luck for the project! Roles of DNA topoisomerases in anticancer drug mechanisms and replication stress. We contributed a mini-review to a Frontiers in Genetics research topic dedicated to “Ubiquitin and Ubiquitin-relative SUMO in DNA damage response”. Our article on “Interplay between Ubiquitin, SUMO, and Poly(ADP-Ribose) in the Cellular Response to Genotoxic Stress” is open-access and freely available. Cells employ a complex network of molecular pathways to cope with endogenous and exogenous genotoxic stress. This multilayered response ensures that genomic lesions are efficiently detected and faithfully repaired in order to safeguard genome integrity. The molecular choreography at sites of DNA damage relies heavily on post-translational modifications (PTMs). Protein modifications with ubiquitin and the small ubiquitin-like modifier SUMO have recently emerged as important regulatory means to coordinate DNA damage signaling and repair. Both ubiquitylation and SUMOylation can lead to extensive chain-like protein modifications, a feature that is shared with yet another DNA damage-induced PTM, the modification of proteins with poly(ADP-ribose) (PAR). Chains of ubiquitin, SUMO, and PAR all contribute to the multi-protein assemblies found at sites of DNA damage and regulate their spatio-temporal dynamics. Here, we review recent advancements in our understanding of how ubiquitin, SUMO and PAR coordinate the DNA damage response and highlight emerging examples of an intricate interplay between these chain-like modifications during the cellular response to genotoxic stress. Phase separation has emerged as an important means to compartmentalize the intracellular space. We are proud to present our newest review, in which we discuss regulatory principles and physiological functions of phase separation and point to intriguing links to neurodegeneration and cancer. Eukaryotic cells are complex structures capable of coordinating numerous biochemical reactions in space and time. Key to such coordination is the subdivision of intracellular space into functional compartments. Compartmentalization can be achieved by intracellular membranes, which surround organelles and act as physical barriers. In addition, cells have developed sophisticated mechanisms to partition their inner substance in a tightly regulated manner. Recent studies provide compelling evidence that membraneless compartmentalization can be achieved by liquid demixing, a process culminating in liquid–liquid phase separation and the formation of phase boundaries. In this review, we discuss how this emerging concept may help in understanding dynamic reorganization of subcellular space and highlight its potential as a framework to explain pathological protein assembly in cancer and neurodegeneration. 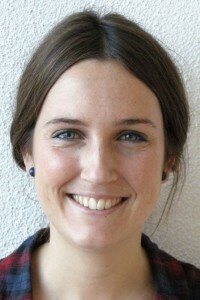 Proud to announce that Jone published her PhD work conducted at the University of the Basque Country (Bilbao, Spain) on cell proliferation control by E2F7-regulated microRNAs in Nucleic Acids Research and that Federico’s Master’s Thesis at the University of Michigan (Ann Arbor, USA) made an important contribution to a study just published in Nature Communications. A new paper from the Lopes lab with contributions from our group demonstrates that signatures of replication stress in embryonic stem cells (ESCs) can be suppressed by prolonging the G1 phase, indicating that when time in G1 is scarce, ESCs employ replication-coupled mechanisms to maintain genome integrity. A short G1 phase imposes constitutive replication stress and fork remodelling in mouse embryonic stem cells. Embryonic stem cells (ESCs) represent a transient biological state, where pluripotency is coupled with fast proliferation. ESCs display a constitutively active DNA damage response (DDR), but its molecular determinants have remained elusive. Here we show in cultured ESCs and mouse embryos that H2AX phosphorylation is dependent on Ataxia telangiectasia and Rad3 related (ATR) and is associated with chromatin loading of the ssDNA-binding proteins RPA and RAD51. Single-molecule analysis of replication intermediates reveals massive ssDNA gap accumulation, reduced fork speed and frequent fork reversal. All these marks of replication stress do not impair the mitotic process and are rapidly lost at differentiation onset. Delaying the G1/S transition in ESCs allows formation of 53BP1 nuclear bodies and suppresses ssDNA accumulation, fork slowing and reversal in the following S-phase. Genetic inactivation of fork slowing and reversal leads to chromosomal breakage in unperturbed ESCs. We propose that rapid cell cycle progression makes ESCs dependent on effective replication-coupled mechanisms to protect genome integrity. Ahuja AK, Jodkowska K, Teloni F, Bizard AH, Zellweger R, Herrador R, Ortega S, Hickson ID, Altmeyer M, Mendez J, Lopes M.
Nat Commun. 2016 Feb 15;7:10660. doi: 10.1038/ncomms10660. An opportunity to interact with other members of the institute and discuss science in a relaxed atmosphere, and an opportunity to appreciate the beauty of nature and the magnificence of the Swiss Alps. No broken bones. 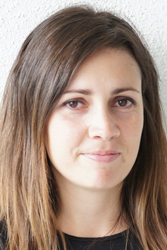 Coming from the lab of Prof. Ana Zubiaga at the University of the Basque Country UPV/EHU, Spain, Jone Michelena recently joined our group as a postdoctoral research scientist to strengthen the team. Welcome on board and good luck, Jone! To better reflect its scientific goals and research activities, our host institute has received a new name and is now the Department of Molecular Mechanisms of Disease (DMMD), associated with both the Science Faculty and the Vetsuisse Faculty of the University of Zurich, Switzerland. In this review we provide an update on the growing number of readers of poly(ADP-ribose) and discuss their extraordinary structural and functional diversity. Our article has been published in Nucleic Acids Research. Post-translational modifications (PTMs) regulate many aspects of protein function and are indispensable for the spatio-temporal regulation of cellular processes. The proteome-wide identification of PTM targets has made significant progress in recent years, as has the characterization of their writers, readers, modifiers and erasers. One of the most elusive PTMs is poly(ADP-ribosyl)ation (PARylation), a nucleic acid-like PTM involved in chromatin dynamics, genome stability maintenance, transcription, cell metabolism and development. 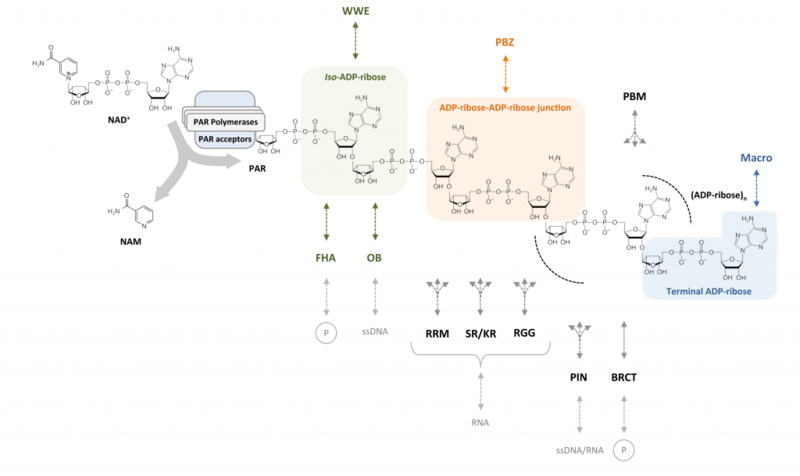 In this article, we provide an overview on our current understanding of the writers of this modification and their targets, as well as the enzymes that degrade and thereby modify and erase poly(ADP-ribose) (PAR). Since many cellular functions of PARylation are exerted through dynamic interactions of PAR-binding proteins with PAR, we discuss the readers of this modification and provide a synthesis of recent findings, which suggest that multiple structurally highly diverse reader modules, ranging from completely folded PAR-binding domains to intrinsically disordered sequence stretches, evolved as PAR effectors to carry out specific cellular functions. Nucleic Acids Res. 2016 Feb 18;44(3):993-1006. Plenty of time to discuss science, ongoing research projects in the lab and our future plans. Worth to repeat. In a collaboration with the lab of Jiri Lukas in Copenhagen we discovered that poly(ADP-ribose) functions as nucleation event to initiate liquid-liquid phase separation of intrinsically disordered proteins at sites of DNA damage. Our article has been published in Nature Communications. Compartmentalization is key to sub-divide the intracellular environment and orchestrate biochemical reactions in space and time. How compartmentalization is achieved is incompletely understood, in particular when it occurs without membranes as physical barriers. In collaboration with the group of Prof. Jiri Lukas in Copenhagen, Denmark, we recently found that, in response to DNA damage, membrane-less compartmentalization is achieved by the regulated phase separation of intrinsically disordered proteins. This liquid demixing is initiated by poly(ADP-ribose) (PAR), a nucleic acid-like polymer that is induced at DNA break sites and acts as nucleation event for the rapid and reversible assembly of various unstructured, aggregation-prone proteins. The dynamic compartmentalization through PAR-seeded liquid demixing orchestrates the recruitment kinetics of repair proteins and shields the broken DNA from unwanted reactions. The study, which was published on August 19th 2015 in Nature Communications, suggests that PAR-seeded liquid demixing is a general mechanism to dynamically reorganize the soluble nuclear space. In light of the aggregation-prone nature of the PAR-responsive intrinsically disordered proteins, deregulation of PAR-seeded liquid demixing may have important implications for pathological protein aggregation during neurodegeneration and aging. Nat Struct Mol Biol. 2015 Sep;22(9):655. This year’s social summer event was dedicated to kart racing together with the labs of Michael Hottiger and Tuncay Baubec followed by a joint dinner. Significant research funding will be provided by the Research Talent Development Fund (Fonds zur Förderung des akademischen Nachwuchses, FAN). We are very grateful for the trust in our work and the financial support of our research by the FAN. 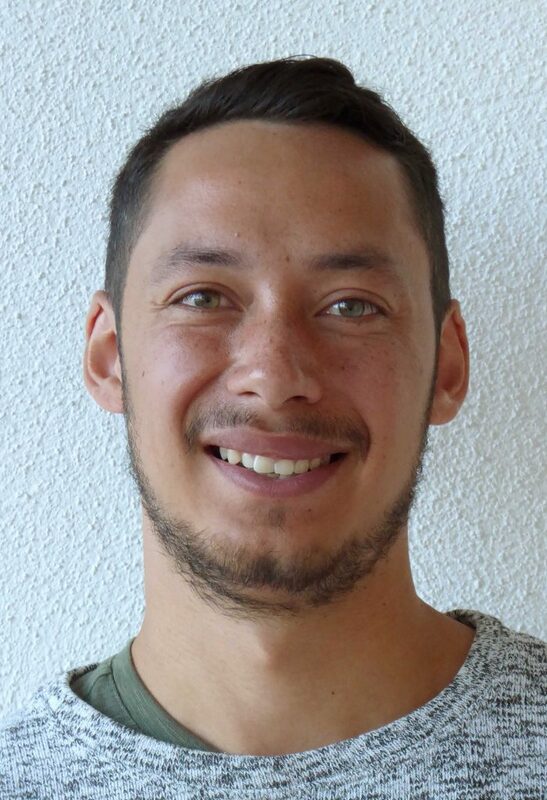 Thomas Schmid, student of Veterinary Medicine at the University of Zurich, will carry out his Master´s Thesis in our lab. Welcome on board and good luck, Thomas! 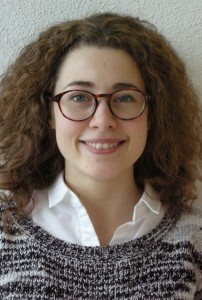 Coming from the Laboratory of Genome Instability and Nuclear Organization headed by Karine Dubrana at the CEA in Fontenay-Aux-Roses, France, Stefania Pellegrino was accepted to the Molecular Life Sciences Program of the Life Science Zurich Graduate School and will carry out her PhD project in our lab. Welcome on board and good luck, Stefania! 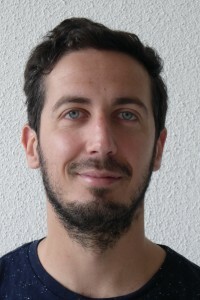 Following research training abroad in the Department of Cell and Developmental Biology at the University of Michigan in Ann Arbor, USA, Federico Teloni was accepted to the Molecular Life Sciences Program of the Life Science Zurich Graduate School and will carry out his PhD project in our lab. Welcome on board and good luck, Federico! Ralph Imhof, an experienced research technician and lab manager and a long-standing member of the institute, joins the lab. His scientific and organizational support will be invaluable for a successful start of our research group. Welcome on board, Ralph! 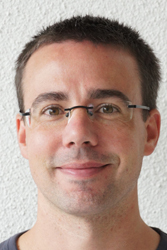 With the start of his SNF Professorship in October 2014, Matthias joins the University of Zurich to establish his research group at the IVBMB. 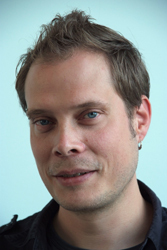 Following his postdoctoral research training first at the Danish Cancer Society and then at the Novo Nordisk Foundation Center for Protein Research in Copenhagen, Denmark, Matthias Altmeyer was awarded an SNF Professorship to be carried out at the University of Zurich. This generous start-up package provided by the Swiss National Science Foundation will allow for the establishment of a new research group dedicated to elucidating molecular mechanisms of genome integrity maintenance. Read more about research funding by the SNF.